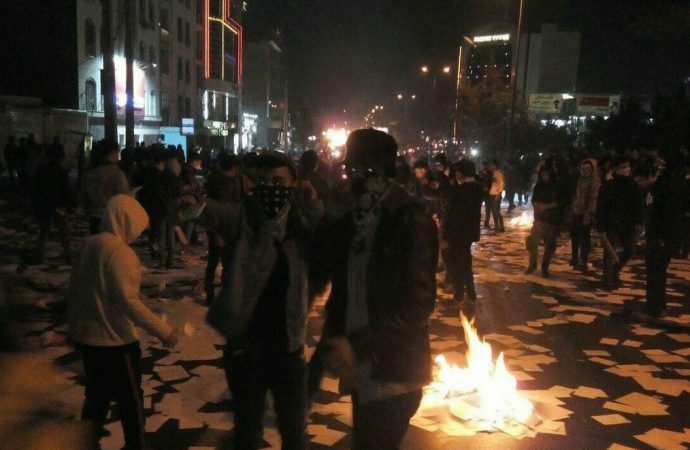 For a little over a week in late December, Iran experienced its biggest protests since 2009, with demonstrations throughout the country focusing on a number of economic and political grievances. After starting in Mashad on December 28, protests — which have now largely dissipated — spread to approximately eighty cities. Mashad is a stronghold of conservative figure Ebrahim Raisi, prompting some speculation that the protests were initiated by conservative opponents of President Hassan Rouhani, an allegation which reformist politicians have been keen to play up. Irrespective of the veracity of this claim, the protests quickly spread to other cities and appeared to be largely spontaneous and leaderless. Although Rouhani defended the right to protest, at least twenty people were killed and were thousands arrested in the ensuing crackdown. Initially, the grievances of the protesters — many of whom were under twenty-five with no experience of the Iranian Revolution — appeared to be economic, focusing on the skyrocketing prices of basic goods. 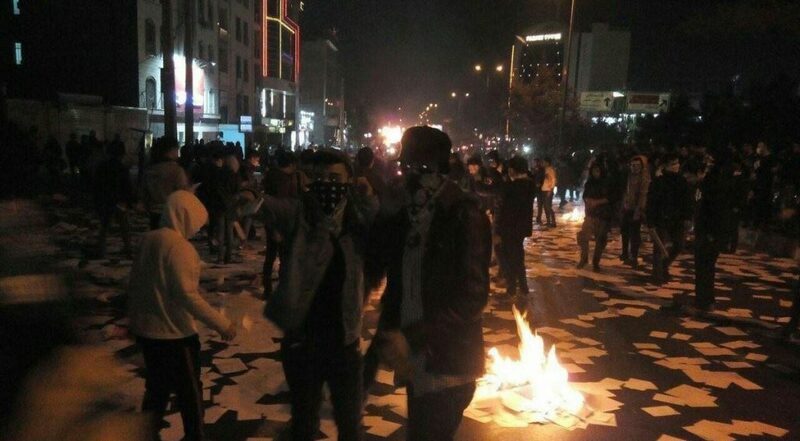 However, the Iranian protests quickly became political in tone. Chants of ‘Death to Rouhani’ and most provocatively ‘Death to [Supreme Leader Ayatollah] Khamenei’ evinced a deep frustration with the system itself. Protesters also decried Iran’s expensive foreign interventions in countries including Syria, Iraq and Lebanon at a time when they perceive themselves to be struggling. Despite expectations to the contrary among Rouhani’s constituents, the lifting of international sanctions as per the 2015 nuclear deal has failed to significantly raise living standards for most Iranians. The Iranian economy has enjoyed phenomenal GDP growth since sanctions were repealed — 13.4% in 2016 — but growth in industries other than the non-labour-intensive oil and gas industries was limited to 3.3%. This modest non-oil increase growth has not been sufficient to dent rates of unemployment and underemployment among 15-24 year olds. It is no surprise then that the youth were the driving force behind the protests. Yet, to many Iranians, this situation appears to be avoidable. Nepotism and corruption have plagued the efficiency of the Iranian economy. Appointments based on family ties and regime-loyalty credentials rather than merit leave significant parts of the economy in the hands of incapable administrators. Moreover, a heavy reliance on notoriously opaque state-owned enterprises — Iran sits at 131 in the Transparency International rankings — creates ideal circumstances for corruption to flourish. Finally, Iran’s colossal expenditure on perceivably esoteric security and foreign policy goals are another source of grievance. Consistent with Supreme Leader Khameini’s ‘resistance economy’ concept — where national security is prioritised — Rouhani’s proposed 2018 budget increased funding for the Islamic Revolutionary Guards Corps (IRGC), a branch of Iran’s armed forces which are heavily involved in Iran’s overseas interventions. This increase comes in the context of high levels of pre-existing expenditure on Iranian operations and/or commitments which have drained a budget already under pressure because of recent low oil prices. In a move symptomatic of the priorities of the regime, the same document postulated cutting cash subsidies for the poor. Ultimately, a combination of day to day economic grievances combined with frustration at economic mismanagement, corruption and overseas adventurism led to protests with economic and political dimensions. More protests are likely. While Rouhani is likely to try to placate protesters by reversing slated cuts to subsidies, these are likely to be more of a short-term solution. To fix Iran’s economic woes — which at the very least would require moves to privatise or at least increase the transparency of the state-owned companies which make up around half the economy — Rouhani would have to take on the powerful clerical and secular elite as well as the IRGC who all benefit from the status-quo. Rouhani does not necessarily have unfettered power to make economic reforms, with Supreme Leader Khamenei exercising some oversight. Rouhani is in his second and last presidential term and will be keen to consolidate his legacy as the leader who re-opened Iran’s economy to the world — factors which ostensibly make aggressive reform more likely. But the president has traditionally shown a tendency to work within the system and any lasting fight with the clerical elite would damage the Reformist movement in the lead up to the 2021 elections. In a country where the Guardian Council — whose twelve members are either directly or indirectly appointed by the Supreme Leader — vet presidential candidates, it is important for all politicians to keep the establishment elites onside. The uncertainty surrounding the 2015 nuclear deal is also likely to increase the risk of protest. In October, Trump refused to certify that Iran was in compliance with the deal and recently waived sanctions for the ‘last time’. The US president has a list of demands for improving the deal, including the inspections of military sights and removing the expiration dates on provisions of the deal limiting nuclear activity. Other parties to the agreement including the EU and China have refused to alter the deal, although the withdrawal of the US could be enough to torpedo it. With Iran unlikely to comply with US demands, the future of the deal — from which Rouhani derives much of his political credibility — is highly uncertain. This uncertainty is already having an impact on the Iranian economy, with foreign financiers reluctant to invest. 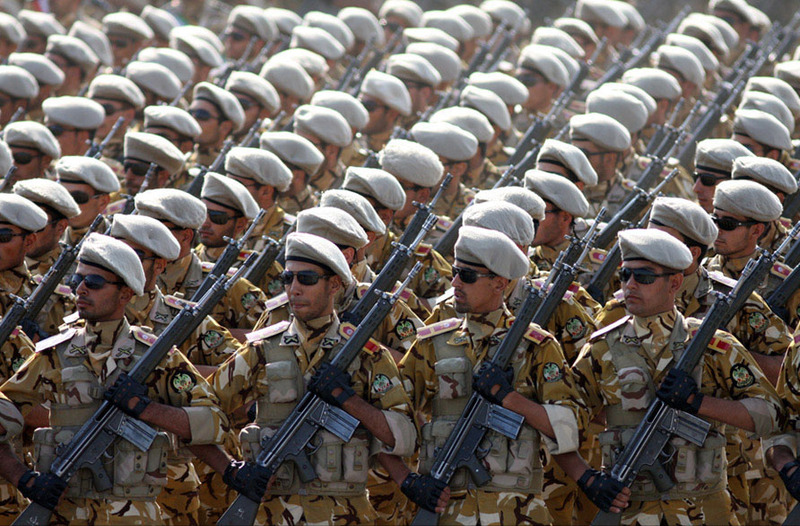 Iran’s foreign policy adventurism is unlikely to wind down. Buoyed by rattling Riyadh in Yemen, strengthening Tehran’s influence in Iraq and consolidating the rule of President Assad in Syria, the Chief Commander of the IRGC Mohammed Ali Jafari recently expressed a desire to deepen Iran’s overseas footprint. With Saudi Crown Prince Mohammed Bin Salman’s increasing willingness to intervene overseas, Tehran will know that any retrenchment will be capitalised upon by Riyadh. 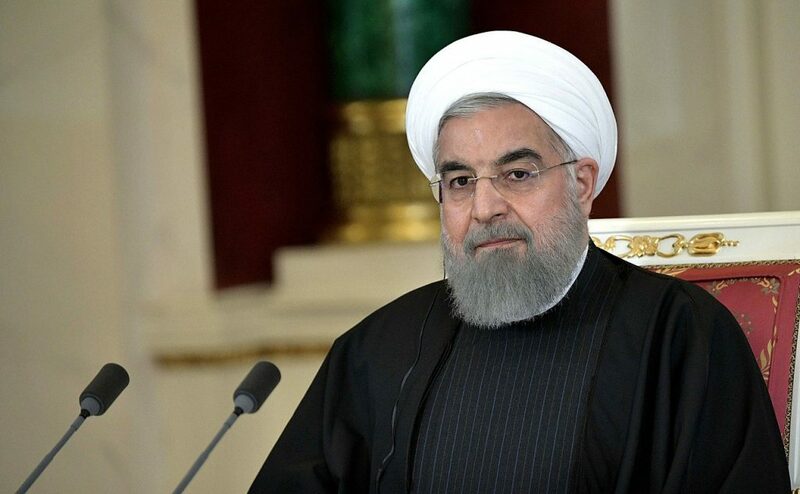 In any case, owing to Iran’s diffusion of power where foreign policy is mostly the prerogative of the Supreme Leader, Rouhani will have little say in the matter. Traditionally, the conservative moment has maintained closer ties with the IRGC and the Supreme Leader. Therefore, although the conservative camp will look to capitalise on any anti-Rouhani protests, expect to see them distance themselves from any demonstrations which significantly challenge the status-quo. Economically populist measures like those favoured by former conservative President Mahmoud Ahmadinejad could be used to woo disaffected protesters, but privatisation of the sclerotic and opaque state-run firms seems out of the question. Owing to the difficulty of instituting meaningful reforms and foreign policy factors largely outside of Rouhani’s control, the grievances which prompted the initial protests are unlikely to subside, making more protests likely. Rouhani as the incumbent president is likely to be a point of focus in future protests, although the nature of protesters’ grievances suggests that Supreme Leader Khamenei and Iran’s system of governance itself will also be targeted. However, the willingness of tens of thousands of people to attend pro-government protests and the eagerness of the battle-hardened IRGC — who learned how to successfully crush widespread unrest in 2009 — to repress dissent, suggests that any talk of revolution is premature.